I don’t normally review baby products here on LovelyMama since this space is for us… but this one item I happened to steal for myself and fell in love with it. Nourish Baby Organics is a great line of baby bath products made by a mom in Tennessee who wanted the safest products for her baby. Just like we do. So on a whim I picked up her Coconut Balm since I love everything coconut. I bought it with the intention of using it on my son but when I took one whiff of it I decided it needed to be mine. If you love coconut and being soft and moisturized this is the balm for you. Now that everyone up north is buried under 12 feet of snow, I know some of you could use a tropical escape – even if it is just in the form of a really nice body balm. And it’s mostly organic, so there you go. 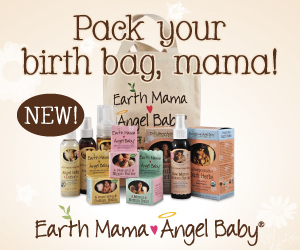 GET IT, SERIOUSLY: You can get this and other great Nourish Baby Organics products on Good Things Green Things! Happy New Year! I want to start off the year with some make up reviews because I know a lot of you are searching for recommendations. Serendipitously I was contacted to try out a great line of cosmetics called Bailey Cosmetics which was developed to work well and be conscious of safety and of the environment. The line has no parabens, no fragrance, no nano-particles, no micronized particles, to talc and no bysmuth oxychloride (which is found in many mineral make ups and can be an irritant). Bailey Cosmetics created a line that was safe and uses only pure grade minerals. What I was instantly impressed with was the packaging and the tools. All the containers and brush handles are made with recyclable aluminum compacts (those of you who like to avoid aluminum take note) that feels good to hold and under the cap of each has a mirror. The brushes are made with either humanely sourced goat hair or synthetic bristles. They never test their products on animals and they use recycled materials for packaging and shipping. Beauty Never Sleeps sent me their full collection to try out which included their 2 tone foundation powder, a dual eye shadow that has a shade that doubles as eyeliner, a blush, their Powder of Youth which provides a healthy glow without the extra sun exposure, their graphite eye brow pencil and a set of their fabulous brushes. I was skeptical when I waited for them to arrive… safe, ok but does it work? Are they too potent? Do they smell like a cave? Natural make up either falls into two categories for me. Too much pigment (and I can never find a good balance to use it) or the color is right and it smells like I’m doing a cave painting with mud. Natural make up can sometimes smell that way. Not the case on either points. I followed their step by step insert on creating a day and evening look and both are easy and made me look, well gorgeous. In fact after my first time trying it all out I met up with my mother later on. She commented on my make up and said “What do you have on, I need that”. That basically means it looked good and she wants it for herself. The colors are soft and neutral and bring out your beauty rather than mask you like a clown. The foundation duo in Medium was perfect for my skin tone and matched just right. They have a handy illustration on their website to help you chose your colors. They also have a really nice lip gloss that provides the perfect pink sheen to your lips without looking overdone. It has aloe and shea butter to protect and heal. These products aren’t vegan (beeswax) but as I mentioned they do not test on animals and take care to chose materials that are as environmentally friendly as possible without compromising the glamorousness. Is that a word? Well, it should be. The Bailey Cosmetic line is a fabulous find… safer than the traditional gunk you find in department stores and you still look just as fabulous. I don’t remember how I learned about Biggs & Featherbelle but their samples came to me right at the perfect time. I was having a stressful day and a box of treats showed up at my door. My obsession with bar soap is almost as ridiculous as my obsession with lip balm. And when I got samples of both it was like my worlds colliding… in a good way. Just to ice the cake here, they also sent me one of their very luscious Body Butter Bars. I had forgotten how much I love lotion bars in the winter time when my skin gets so dry and chapped I look like a lizard shedding its skin. It’s not attractive. But lotion bars or more specifically, Biggs & Featherbelle’s Body Butter Bars are the perfect way to combat this. When I first tried lotion bars last year, I looked at my purchase and thought “What am I supposed to do with this?”. But now I’m a pro and they are woooonderful for dry skin problems. They key is warming them up. You can’t just take it out of the package and start rubbing it on yourself. Well you could, on an elbow or something, but I have much better results when I rub it between my hands first and then apply to my rough areas like feet, hands, elbows, and even shins if you can believe it. But that’s not all you can find at Biggs & Featherbelle… they have a wide range of fabulous products including soaking salts, lip balms and soaps. I received their Muscle Soak and lined up a night to soak my aching body (I’ve been doing a lot of Pilates and Yoga lately -and OW man) . What a lovely relief it provided. With ingredients like Sea Salt, Epsom salt ginger and clary sage – it landed me a long hot bath full of relaxation and muscle relief. Now on to the bar soaps. I collect bar soap. Seriously… it’s a sickness. There is so many in my shower at any given time (hey I like to have choices in there) that my husband often stands there dumbfounded wondering if I am working on a soap sculpture. But after trying out Biggs & Featherbelle’s Bar Soap I truly am wondering if I’ll ever stop buying soap. They have so many fantastic scents to chose from like their Beach Bar with Sea salt, eucalyptus, clary sage and jojoba oil for exfoliation and moisturizing. Or their really awesome Goodie Bar which is packed with skin nourishing oils like Macadamia Nut oil an Sweet Almond along with goat’s mil for hydrating and smoothing. I could go on forever, but you can check out the selection yourself. Yum yum yum. Love love love. Their ingredients lists are truly impressive – not a chemical as far as the eye can see. Their cute and eco-friendly packaging is a big bonus too – I love my bath goodies to look nice! I’ll be a frequent customer, I can tell you that. Get Your Own: You can shop at BiggsandFeather.com and receive 20% off your order with coupon code BFLSM! Leave a comment after visiting BiggsandFeather.com. Check out their awesome products and let me know what you’d love to try out! Giveaway open to US residents only. One winner will be chosen via Random.org. Entries accepted until midnight EST on December 27th 2010. Good Luck!